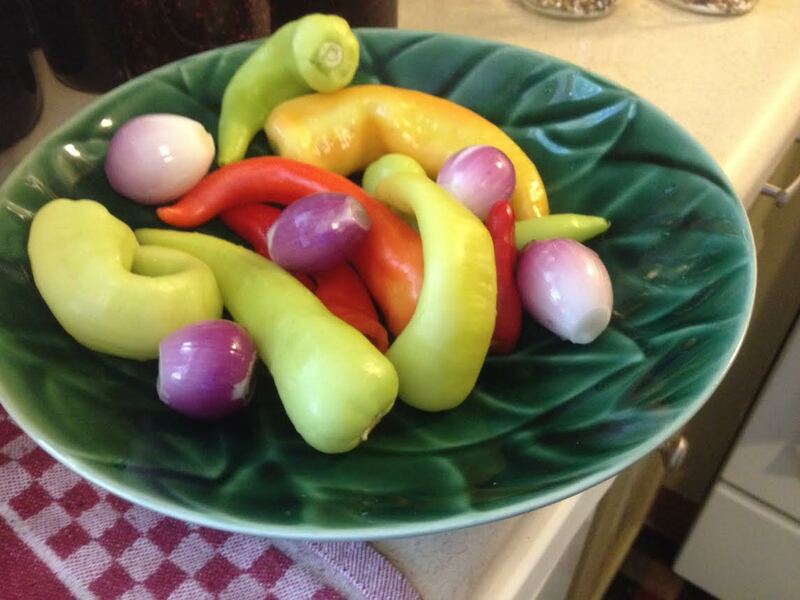 I couldn’t resist a photo of these peppers and onions from our garden in this nice green leaf bowl. This year was our first time making some pickled peppers and onions. They remind me of those “summer harvest” decorative jars you can find in places which no one ever really eats because they make nice counter-top decorations. Ours will definitely be eaten!